We are installers of Commercial CCTV Systems in Sheffield and the surrounding areas. Our team of expert CCTV installation technicians work across Sheffield helping businesses protect themselves from vandalism and crime using CCTV Cameras to deter and capture images of offenders. Residents and business owners in Sheffield can enjoy better security and greater confidence in it simply by taking advantage of our CCTV services. We can supply and fit a wide range of CCTV cameras and kits, and we also provide install-only services if you already have the kit you need. Additionally, we’re the ones to call if something goes wrong with an existing system. We undertake repairs whenever needed, and of course, we’re also able to advise on replacements if need be. With maintenance services also on offer, you can get whatever you need from us. While general crime rates across South Yorkshire police force area have fallen in 2013, reported crime in Sheffield has risen and still ranks highly compared to boroughs such as Rotherham and Barnsley, with a particular rise in anti-social behaviour and theft. We can even advise you on viewing your system via your iPhone/iPad or other Smartphone. With the average court case through South Yorkshire magistrates taking over 4 months, even longer in Crown courts, it makes sense to invest in preventing crime in the first place. For a no obligation, personalised quotation contact us at cctv.co.uk today or phone 0800 211 8310. Keep a personal attack alarm handy if you suspect someone is in your house. If you are confronted with them, setting the alarm off should scare them off and prevent an attack and a robbery. Let would be intruders know they are about to enter a CCTV surveillance area, by placing bright yellow warning signs at the entrance to the CCTV zone, with more signs placed inside the area. If you have a business in the Sheffield area and are thinking about installing CCTV cameras there are firms which will take all your security worries off your hands, providing 24-hour monitoring. When any internal or external alarms are activated the images of the incident are automatically forwarded to a CCTV monitoring facility when trained operatives can alert emergency services or initiate any other procedures that you might have agreed with them. When linked with remote monitoring, CCTV cameras can also prevent crime using full audio facilities which enable operatives to give warnings to potential attackers or assistance to staff, customers and other site visitors. By remotely controlling gates and access barriers, CCTV monitoring can be a more cost-effective alternative to manned guarding. How will you take advantage of the protection offered by a superb CCTV system? If you don’t yet have CCTV cameras, you may wonder whether they are worth having. If you’ve seen the grainy, gritty images provided by some older cameras, and the lack of recording facilities that may also be present, you’re looking at systems that leave a lot to be desired. However, modern CCTV is a very different beast. It comes with guaranteed peace-of-mind, the promise of HD images, and round-the-clock recording you can rely on. Now, if that doesn’t make you feel more confident in CCTV and its ability to protect you, nothing will. These cameras can be positioned to monitor the exterior of a premises as well as the interior if need be. Shop and business owners will have very different needs to homeowners, yet everyone can enjoy having their needs met when they take advantage of having CCTV cameras installed. Finding the right kit for you is half the battle, and it is a battle that is easy to win when you seek professional advice. 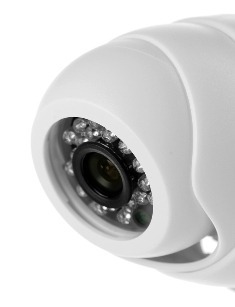 From one camera to a dozen or more, the scalability of a good CCTV system is one of the best features it can offer. You can see how it might help you, too. With high-quality footage ready to hand over, your CCTV system can help identify criminals if they do try and break in or indulge in vandalism. No matter how big or small your property is, or whether you are protecting your home or a large business premises, we have the perfect CCTV system to suit you. Stuck on how to use your system, even when it has been installed? Don’t worry. Not only will our technicians install your CCTV system to the highest standards and explain how everything works, we’re always here on the phone to answer any queries you may have afterwards. We stock cameras and components in a range of colours to suit every situation. Ask about our full range today. It’s easy to do when you ring free on 0800 211 8310. You can email us instead, if you prefer, with details of your requirements, at info@cctv.co.uk now. Either way, you’re guaranteed to receive the very best service.